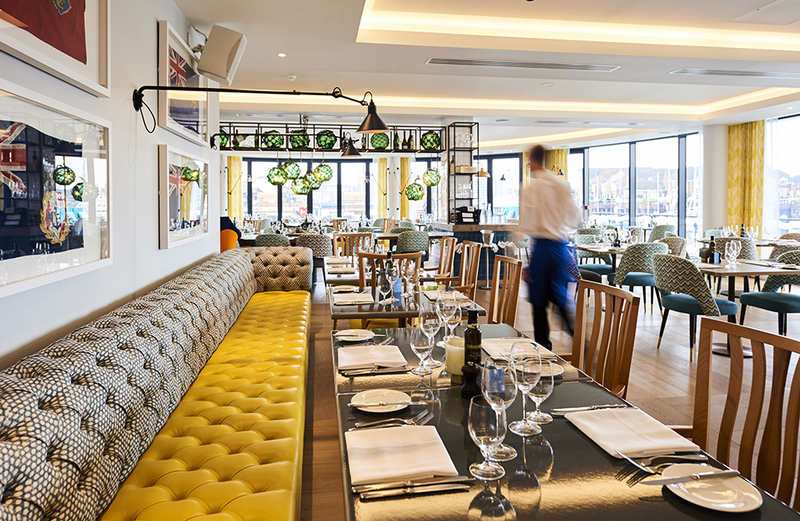 This month, hospitality recruitment agency, Platinum Recruitment talked to Craig McColm, Group Executive Head Chef of Harbour Hotels, a rapidly expanding collection of coastal and city centre hotels with a focus on contemporary interiors and award winning cuisine. 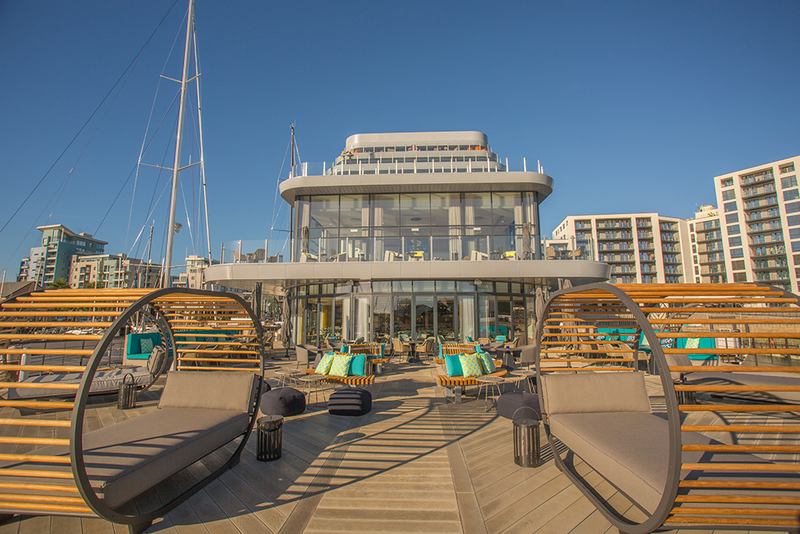 Craig took the time to talk to us about Harbour Hotels, team engagement and the newly opened Southampton Harbour Hotel and Spa in Southampton’s Ocean Village in October. Thank you for taking time to talk with us Craig, we appreciate you must be really busy with the new opening, how have the first few weeks been? We’ve been super busy and the hotel has been very well received, currently serving around 100 covers on a midweek evening! It’s not too far in distance from the flagship restaurant in Christchurch so lots of our regular clients have been coming along to visit us and check out the new restaurant. Although it’s close in proximity to Christchurch, the main clientele are slightly different with it being a city centre location, its certainly much more fast paced. We are fully booked every weekend now for foreseeable and I can’t see it slowing down! Location is a massive factor, I don’t think there is anything in Southampton that is similar to the product we are offering. The main Jetty Restaurant is a beautiful big open space. 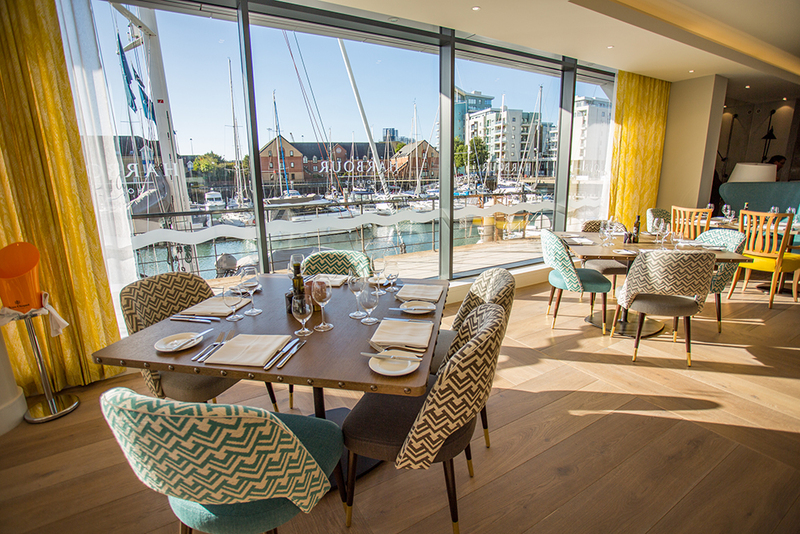 We’re at the bow of the hotel, as you walk into the main body of the restaurant it curves all the way round with floor to ceiling glass looking out onto Ocean Village marina. It’s so bright and really awesome! We also have HarBar on the 6th floor which offers casual dining, dishes like burgers and fresh pizza cooked in the wood burning pizza oven which we have on the deck, as well as tapas style dishes. The concept is around all day dining and drinking, very much the bar scene. There is also a separate seating area where residents could also enjoy a more formal meal, but more relaxed than the Jetty. The venue is just gorgeous, come summer it will be the place to be! How long have you been with the group? I joined 9 years ago when Gary Rhodes had a couple of restaurants in Christchurch. 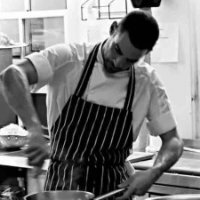 Alex Aitken then took over and we opened the Jetty in Mudeford where I took the Head Chef job. I was promoted to Executive Head Chef for The Jetty and Christchurch Harbour and we refurbished and rebranded the Christchurch Harbour Restaurant to Upper Deck. 2016 was a busy year for the group as we opened hotels in Chichester, Guildford, Bristol and Brighton. So how do you maintain quality, standards and culture across the sites? It’s all based on what we have achieved at The Jetty; Alex, AJ (Alex’s son and F&B Director for the group) and I will sit down and decide on the menus. I will write the recipes, methods and spec sheets for the chefs, each will have a photograph to show how it should be presented. We then work with the teams, cooking the dishes together and making sure that everything works. We will visit each site every couple of weeks to make sure the quality is maintained. The company has almost doubled in the last couple of years, so it’s been a really exciting time. 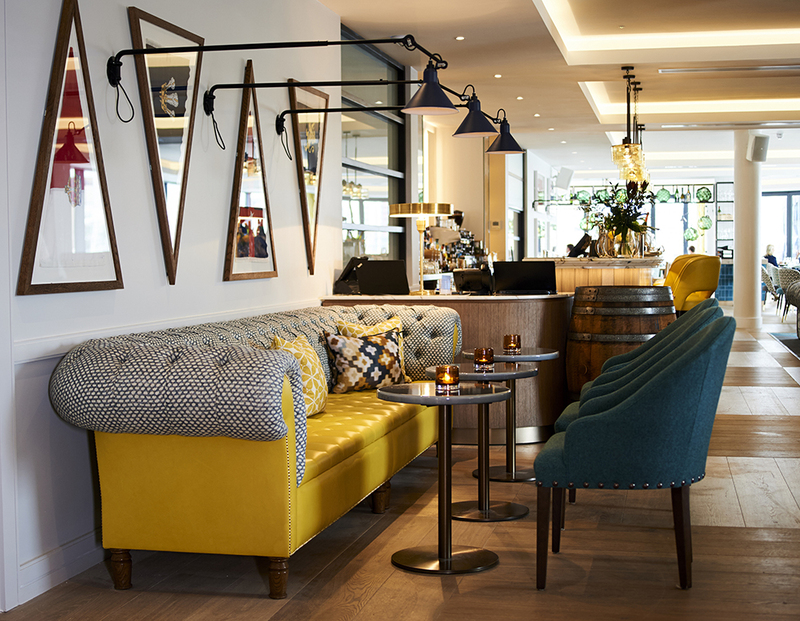 We try to listen to feedback from our customers and teams and have really focused on brand standards so you should be able to recognise a Harbour Hotel when you walk in. The opportunity to work in multiple kitchens and properties with different teams has been great, I’ve been a chef since leaving school, so it’s nice to do something a little bit different. It’s also amazing to visualise all the hard work from one property and be able to package that up and replicate it across new properties. That work is now the basis for the group dining and it’s incredible to have been a part of that. I’m motivated by the travelling involved in my role, meeting new chefs stops me from getting bored. The network of talented chefs within the business is really exciting! What do you do to keep your team happy and engaged? We opened with a brigade of 10, knowing that we need 5 – 6 on a service, which allows for half days and holidays. We try and give the chefs back time, it’s important that everyone gets two days off to spend with family. Our kitchens and restaurants are a great place to work; we have top of the range equipment and the layout is awesome. Our teams are positively supported to take part in additional training or qualifications and we support day release to college for specialised courses, for example we have a chef in Guildford who is doing a chocolate course. The main thing is to try and be there and acknowledge that everyone works really hard. People are different and have different needs and we try and empathise and understand. As a management team we are hands on with our teams whether that in the kitchen or on the floor at property, with our teams. Myself and AJ have been full time at Ocean Village for last 5 weeks, looking for ways to make lives easier and show that you care. It makes the difference to actually be there for them and that you are working just as hard as they are. We try and keep stress to a minimum, apart from being on your feet all day, the mental stress can be exhausting and it can take its toll so we try and alleviate that where possible. It’s really all about being one big family, if someone is struggling bring them up and work through issues together. What are the future plans for Harbour Hotels? We’re looking at a couple more coastal hotels to develop over the next 2 years, the future is really exciting – I can’t reveal any more than that at the moment! Keep up to date with Craig and the Harbour Hotel Group by following their social media pages…. We would like to say a massive thank you to Craig for taking time out to talk to us and wish him and the team all the best for the future with the Harbour Hotel Group.